The 47th word of verse (4:12) is divided into 2 morphological segments. A preposition and personal pronoun. The prefixed preposition bi is usually translated as "with" or "by". The personal pronoun is third person feminine singular. 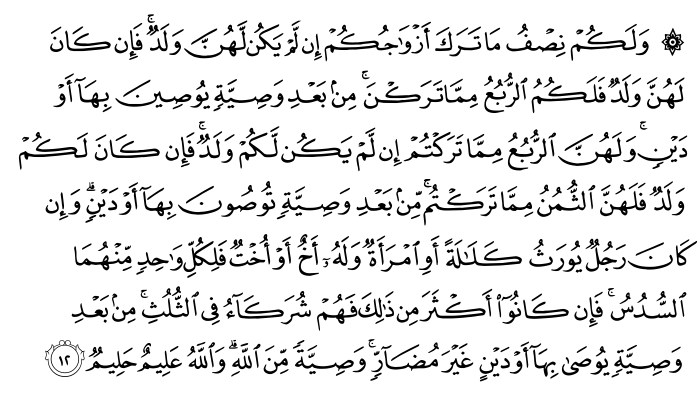 Together the segments form a preposition phrase known as jār wa majrūr (جار ومجرور).